An “Open Letter” from Athonite Fathers to the Holy Community of the Holy Mountain of Athos is calling for an immediate convocation of the governing body of Mt. Athos in order to condemn the “false council” of Crete and cease the comemoration of the Patriarch of Constantinople on Mt. Athos. OVER 60 Hieromonk and monks, with a disciple of Saint Paisios, Elder Gabriel of the Kelli of St. Christodoulos (Holy Monastery of Koutloumosiou) at their head, have written an open letter to the Holy Community of Mt. Athos calling upon the Abbots to reject the Council in Crete and stating their intention to cease commemoration of the Patriarch of Constantinople on account of his leadership in the “false council” at which the pan-heresy of ecumenism was given a green light and bolstered in word and deed. 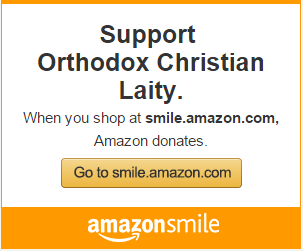 “Holy Fathers, the Orthodox Church and Orthodox Christians have been declared undesirable and singled out for harassment. 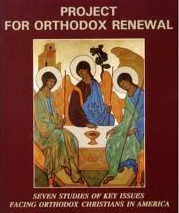 Already at the heretical false council of Crete all those Orthodox Christians who stand opposed to it and reject it, whether they be bishops, priests, monks or laymen, were characterized as “heretics,” “zealots,” and “hyper-Orthodox.” Will we allow this false characterization to pass into the popular conscience? 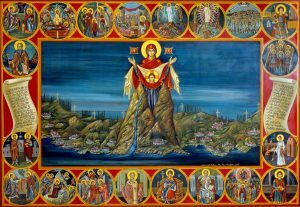 With much humility, fear of God and love for our Orthodox Church we entreat you and ask that we may all stand together so that a truly Holy and Great Orthodox Council may be called in order to reject this false council [of Crete]. Fr. Steven points out that although the “Open Letter” was “signed by 60 monks…there are more than 2,000 monks on the Athonite peninsula.” And Archdeacon John Chryssavgis states: “It is important to note that, while some Athonite monks may express opposition, the Holy Community as a whole has actually supported the council.” Who, pray tell, surveyed those “more than 2,000 monks”? And exactly how was that accomplished–knocking on cell doors, mailing surveys to individual monks, hovering over each monastery in a helicopter and seeing how the audible yay-or-nay group responses registered on the Samsung 5000-LX Audio Response-o-Meter? The response above is facetious at best; malicious at worst; and inaccurate either way. The simple fact remains that Mt. Athos was included in the process of the preparations for the Council and, as part of the Ecumenical Patriarchate, had an official representative at the Council designated by the Holy Community – the representative body of all the monasteries of Athos. The input of the Holy Mountain was sought and given. Mt. Athos, as a whole, was supportive of the work of the Council and participated in it.